Bill gave us this Sibling Assignment for March: The other night at the Inland Lounge I got into a conversation with a couple of Wallace High School grads about the Wallace/Kellogg rivalry. How did you experience this rivalry back in high school? The people I talked to Friday night thought the rivalry had weakened over the years. Had it started to weaken when we were in high school in the 1970s and 1980s? Or did you experience things that were evidence of the rivalry being very much alive when we were in high school? To read my sibling's take on this assignment, you can find Christy's here, and you can find Bill's here. I really don’t remember a whole lot of rivalry that I experienced personally when I was in high school. But I don’t remember having a whole lot to do with students from Wallace, unless it was through speech or drama competition, or possibly Rainbow Girls. I also knew some girls from Wallace who I had gone to Camp Aowakia with, a Campfire Girls camp at the end of Montgomery Gulch I attended as a camper and was also a counselor up through my junior high years. But there just wasn’t a whole lot of rivalry involved in these particular groups of people. Perhaps if I was more involved in sports, I would have a different view of the rivalry. But by the time I was in high school, Wallace was not in our sports classification, so we didn’t play them in league competition. They were becoming a smaller school. We still played them in the annual football game, and we played them in basketball and volleyball, and track and wrestling, but they were not in our league. When I returned to Kellogg back in 2000, I think things had really changed with the rivalry. I think students don’t even look at Wallace as a big rival anymore. 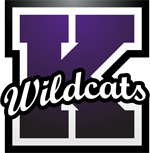 We have Wallace students coming to KHS for classes. We share sports teams. Wallace is still in a different sports league. There are more opportunities in the valley for students in the valley to know one another and be friends. We have students from KHS leave and go to Wallace, and visa versa. I often believe it is the older generation that wants to keep the rivalry alive. This often comes into play when school consolidation is talked about, and not wanting to combine the three valley school districts into one. A term I often hear is “the old guys in Wallace still sleep in their letterman’s jackets”. It is a funny statement, but I think it goes beyond that. I think it is more about pride. Pride in community. Pride in their own school system. Often communities are defined by their school system. It is a complicated issue that I am sure will continue to be discussed as the number of students attending schools in Mullan, Wallace and Kellogg continue to get smaller. But having a rival can be fun. I love hearing some of the stories about setting the others homecoming bonfire on fire, or other harmless pranks. But that was definitely from another time.